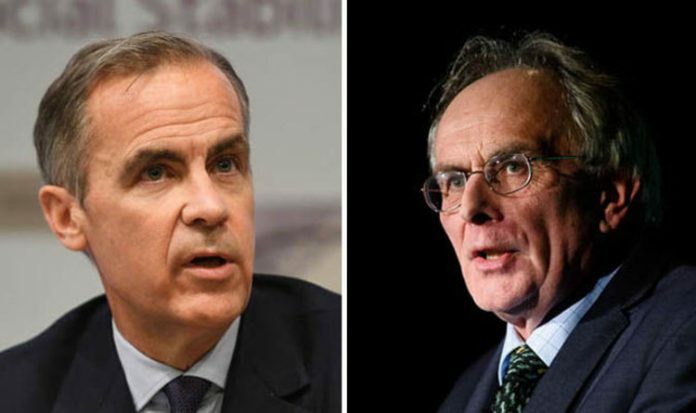 The Canadian Mr Carney, who was handpicked by Project Fear architect George Osborne, told a Cabinet briefing that house prices would drop by 35 per cent and there would be an economic crash with no deal. But the warnings had echoes of his role in the Project Fear campaign during the referendum where he was part of the unsuccessful attempt to scare voters into backing Remain with claims that a Leave vote would see unemployment rocket, the economy collapse, house prices fall and the cost of living soar. Instead the UK has record employment, the stock market is high and wages are rising. Mr Bone said: “These latest comments are just Project Fear mark 2 from Mr Carney. “It is incredible that he is talking down the future of the country based on no evidence. Mr Bone said it was a mistake by Chancellor Philip Hammond to extend Mr Carney’s stay as Governor until 2020 earlier this week. Mr Carney briefed Theresa May and senior ministers on the Bank’s planning for a “cliff-edge” break with the EU at a special Cabinet meeting on Thursday to review the Government’s no-deal preparations.